marketing intelligence and data visualization partner. 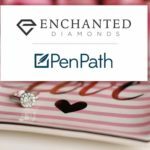 time to dig into our data to this degree, much less automate it,” says Josh Niamehr, CEO of Enchanted Diamonds. across many clients. This makes it nearly impossible to spot opportunities or trends cohesively or in real-time. “Every marketer we talk to understands the importance of data but is chronically overwhelmed with the time it takes to make any sense of it. Quite frankly, developing automatic reports is outside of most marketer’s scope. Typically marketers resort to picking a couple of metrics they cobble together in spreadsheets and PowerPoints with their best guess,” says Alex Cruz, the Founder and CEO of PenPath. PenPath builds bespoke business intelligence (BI) dashboards that automate interactive reports for marketers. begins with data aggregation and transformation which is managed by PenPath’s strategic partner, Improvado, a San Francisco-based marketing data aggregation platform. Once all data is centralized and warehoused, PenPath applies its proprietary data science models and calculations that solve it’s client’s analytical use cases. Popular KPIs visualized by PenPath include cross-channel metrics such as ROI, LTV, and CPA. 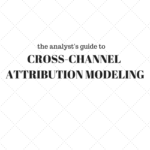 More advanced models like data-driven attribution, predictive analysis, and customer segmentation are also available. The true benefit is how PenPath allows marketing teams and organizations lead with data without having to invest in the large overhead required to build these types of solutions in-house. agencies. PenPath delivers custom business intelligence dashboards that allow any marketing team or organization to become truly data-driven. Enchanted Diamonds is a diamond e-commerce platform headquartered in New York City. The company works directly with the world’s best gem polishers of Mumbai and Surat and sells custom-made jewelry in its store in NYC and online. Enchanted Diamonds is known for its proprietary diamond grade cut score.